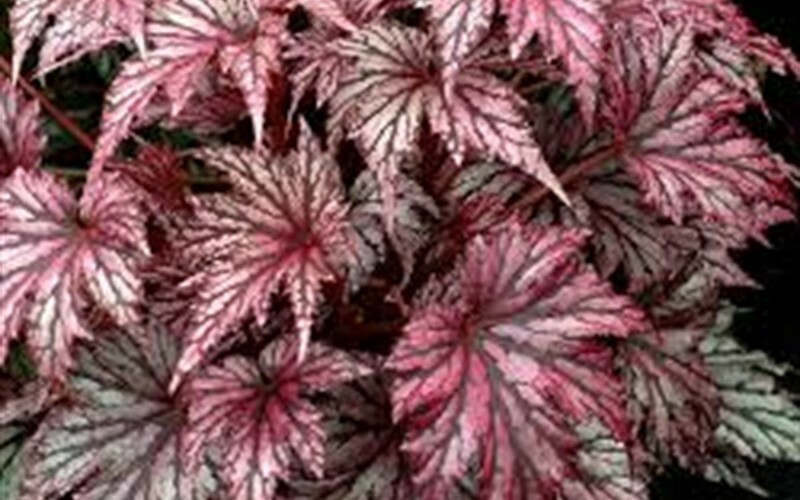 Begonia Garden Angel Plum Pp#25279 - Hardy Begonia is a fast and moderate growing perennial plant that can be grown in USDA Plant Hardiness Zones 7A through 11. It matures to an average height of 1 foot to 3 feet and an average width of 1 foot to 3 feet, depending on climate and other environmental factors. 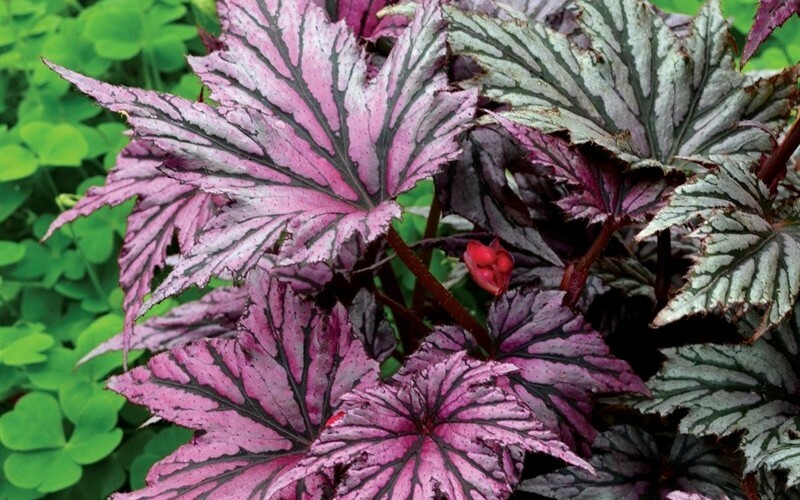 In the summer and fall Begonia Garden Angel Plum Pp#25279 - Hardy Begonia produces pink flowers. The foliage is burgundy, grey / silver and light green in color. It attracts butterflies and hummingbirds and is resistant to deer, drought, diseases and heat. Begonia Garden Angel Plum Pp#25279 - Hardy Begonia can be useful in the landscape in foundation plantings, in containers or planters, as a border or edger, as a background, in shrub borders, around decks, swimming pools, and other outdoor living areas, as an accent, as a lawn substitute, in hanging baskets or in landscape beds or islands and also in cottage gardens, butterfly gardens, hummingbird gardens, food gardens, perennial gardens or shade gardens.